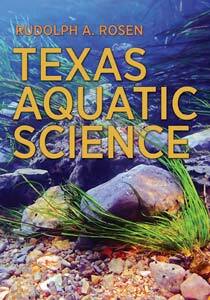 One of the dreams of the developers of Texas Aquatic Science has always been making aquatic science as accessible as possible. 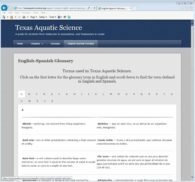 In the largely Hispanic school districts in Texas this dream motivated development of Spanish aquatic science support efforts. 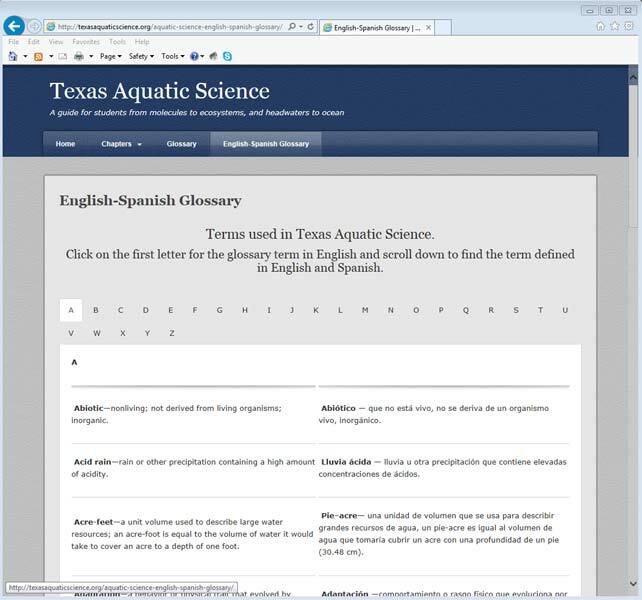 As a result, a new English to Spanish Aquatic Science Glossary is now available on the website Texas Aquatic Science. In addition, chapter overview videos will soon provide the option to switch between Spanish captions, English captions or no captions.